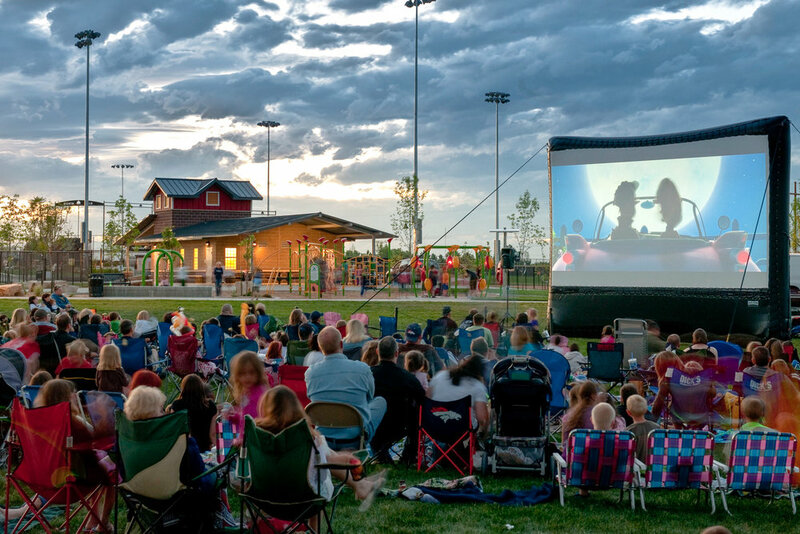 This is the hub for community gathering in Erie Colorado. 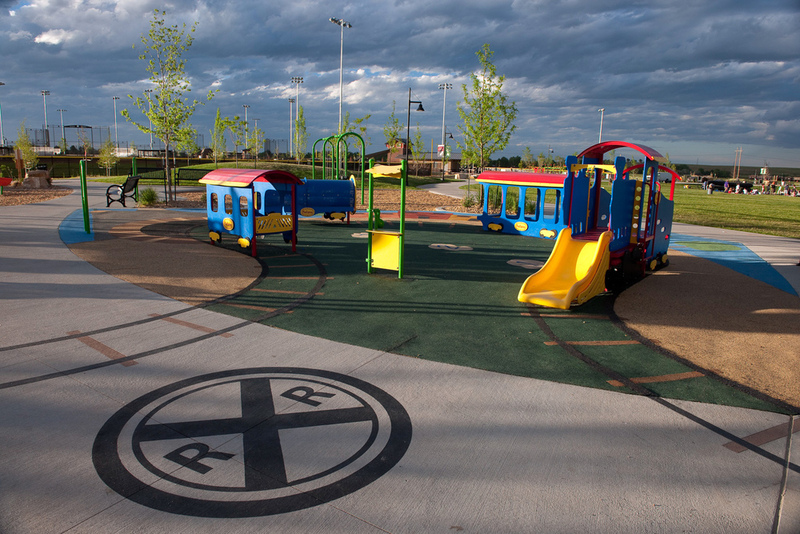 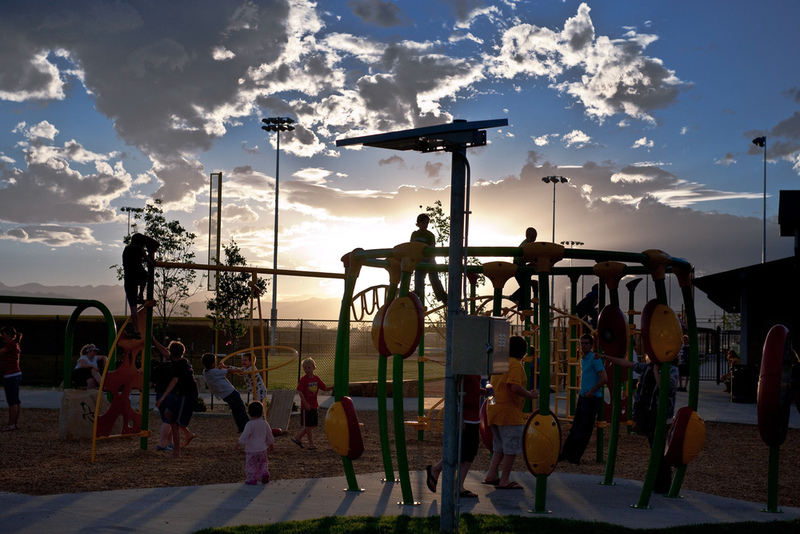 This park offers: playgrounds and equipment, ballfields, baseball, softball, concessions, reservable shelters for birthday parties and events, restrooms, central lawn space for movie night, food trucks, recreation center, skate park, xeric native Plant Select garden, trails and paths. 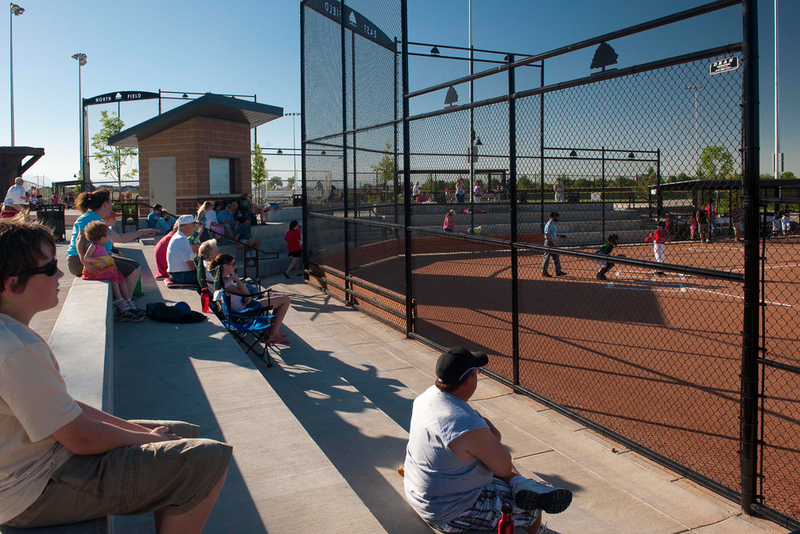 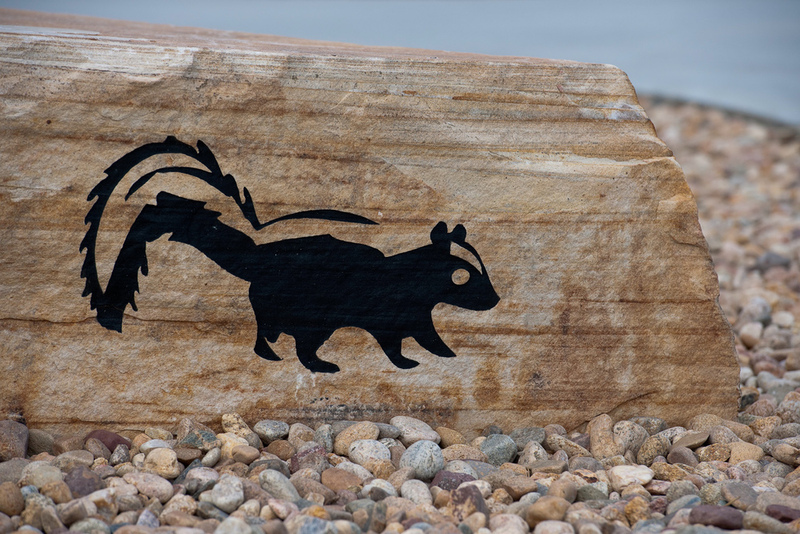 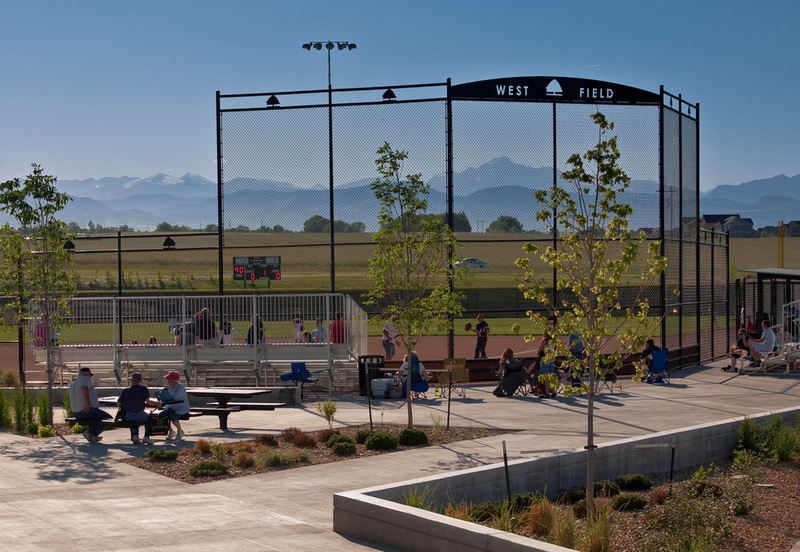 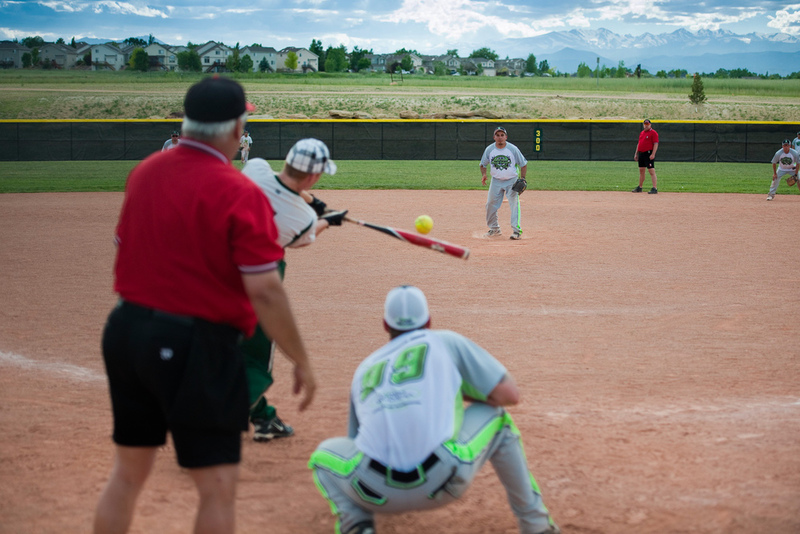 The town received a $175,000 grant from Encana Oil and Gas Community Investment Program for environmentally friendly lighting at the baseball fields, and a $199,391 grant from Great Outdoors Colorado that covered the cost of one of the fields.